Using your mouse, select a language to use for the installation (refer to Figure 4.8, “Language Selection”). 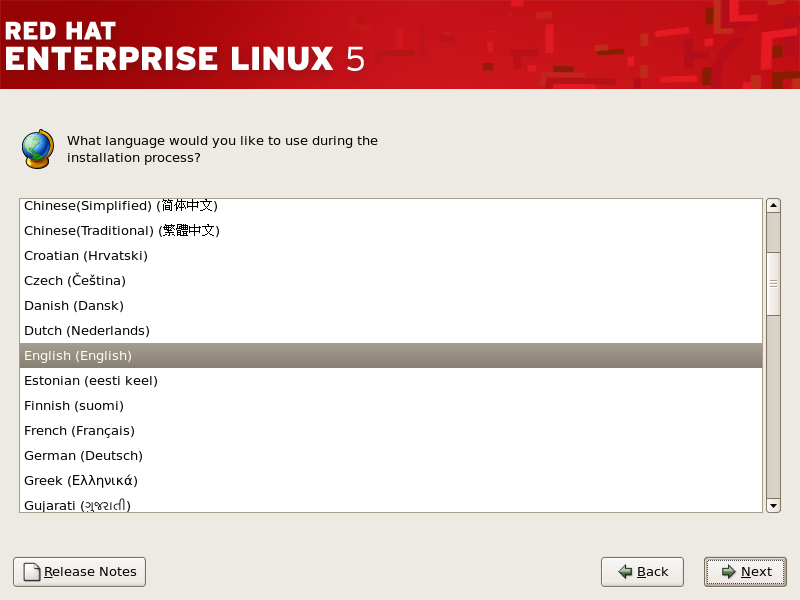 The language you select here will become the default language for the operating system once it is installed. Selecting the appropriate language also helps target your time zone configuration later in the installation. The installation program tries to define the appropriate time zone based on what you specify on this screen. Once you select the appropriate language, click Next to continue.